The amount of time we spend complaining about Life can actually be spent living it fully, spiritedly! Reading this and seeing his million watt smile in the paper today lit up my morning! I just thought to myself – Isn’t it a shame that we, well-endowed folks, succumb to negativity and depression so often? Don’t we always end up complaining about what we don’t have? And aren’t we quick to cite constraints for not being able to do several things in Life? People like Justin invite us to re-examine our attitude to living and encourage us to live more spirited lives! If you reflect on the way you approach your Life, you will find that complaining about what you don’t have comes naturally. To complain about lack of resources, lack of time, lack of money or lack of understanding is comfortable. You don’t have to do anything to complain. You just have to state what isn’t there and sit back and pine for it. We miss the whole point of intelligent living this way. We don’t realize that it is part of our Life’s work to work around constraints – whatever they may be. When we complain the lack of something in Life and feel deprived, we are actually beginning to suffer. Over time, this suffering holds us hostage and keeps us depressed. That’s really how you lose the yen to live and be happy. But if you work around your constraints – either by getting what you don’t have or by learning to live without what you don’t have – you may surely feel the pain, but you will not suffer. Justin surely feels the pain of being paralyzed. He will feel it all his Life. But clearly he is not suffering. It is only when you end your suffering that you can actually live fully and spiritedly. That’s when you feel inner peace and happiness. But it all begins first with stopping to complain. Inject yourself with Justin’s spirit today – stop whining, start living! 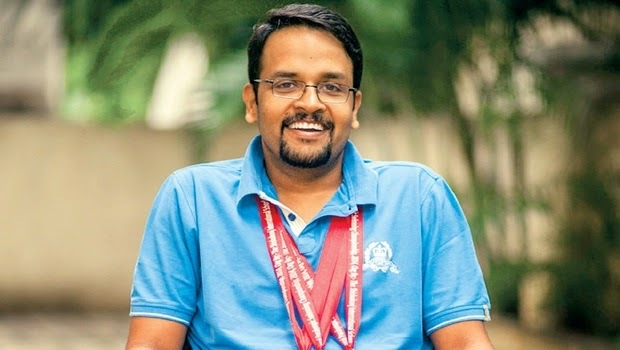 Author AVIS ViswanathanPosted on November 13, 2014 March 14, 2016 Categories Art of Living, Complaining, Happiness, http://schemas.google.com/blogger/2008/kind#post, Inner Peace, Intelligent Living, Justin Vijay Yesudas, Living, National Paralympic Swimming Championship, Suffering, The New Indian Express, WhiningLeave a comment on Stop whining, start living!